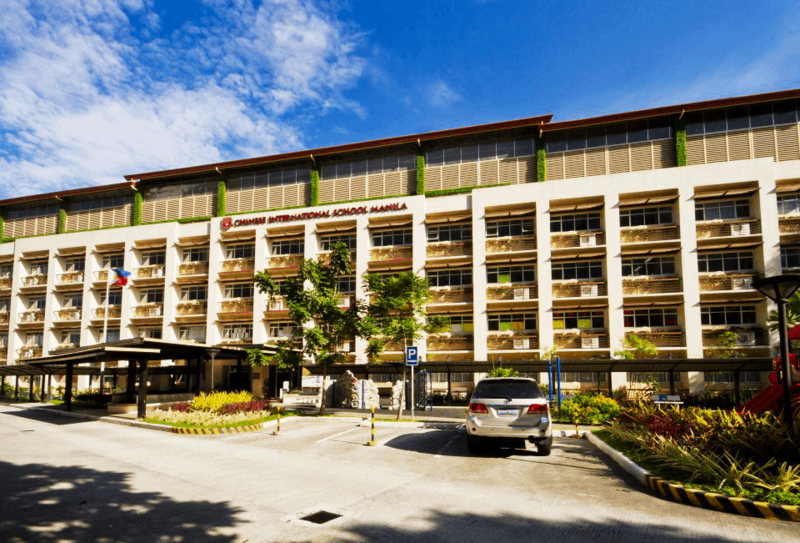 If you are looking for best international schools, you need to take a look at the list of International School in Manila Philippines. Not only the country is abundant with world-class sceneries that tourists and locals can’t get enough, it also has the best performing international world-class schools to offer to international students from around the globe. Philippines’ best most expensive schools comes not only with quality education and environment to make students at ease such boarding and activities to boost their mental and physical strengths, but parents will be assured that the students, boys and girls, are all in good hands and that the tuition fees that they’ve paid for their kids are all worth it. One of the main concerns of any family moving to another country or region is the best school that they can enroll their kids. We always make sure that our kids is getting the best especially when it comes on education. It can be worrisome and a hassle to look for school that will meet our expectations and could provide our children the education that will mold them into better and intellectual citizens in the future. Philippines is known for its hospitality and its versatility in embracing diverse cultures from different countries. So this has resulted to a more diverse and flexible schools catering to international students who wish to pursue their studies in the country. 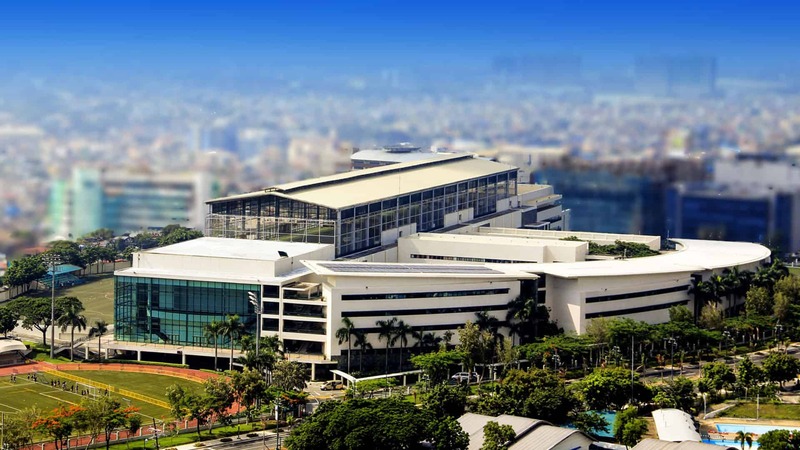 Although this is considerably expensive to some, but Philippines’ international schools offer cost-effective tuition fees that will surely on a budget but will never have the shortcomings on offering quality education. Listed below is the list of international high schools deem fit to provide quality and caliber education to students on the High School level. 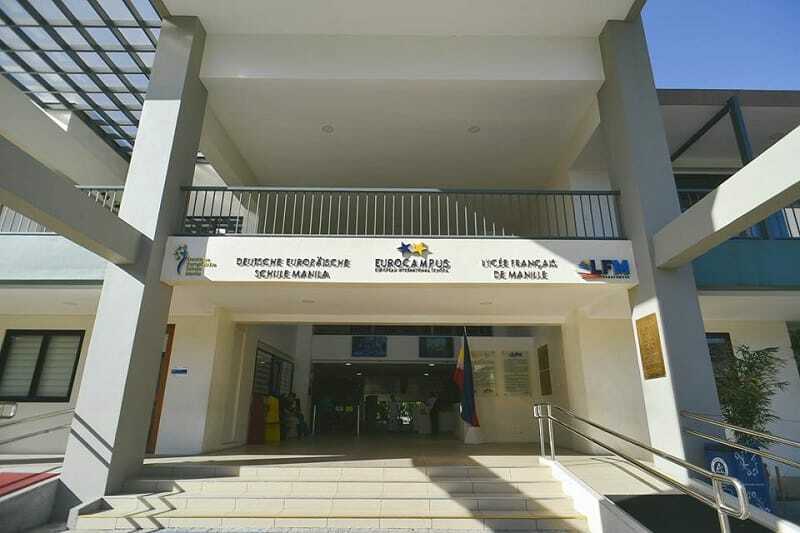 Utilizing the capabilities and pushing the limits of their students not only in academic field, but also in sports and performing arts, International School Manila have adapted the curriculum methods and styles of the United States ensuring they are well-equipped on facilities and modules to provide their students. With school branches in Baguio, Boracay, Metro Manila, Laguna, and Subic, Brent International School in associations with Episcopal Church in the Philippines, students are all educated through the well-adapted Western curriculum that’s incorporated with introduction and application of religious practice. The school’s ethics aims to build a positive mind and spirit to the students that are molded to become an abiding and successful individuals of the community. From the school name itself, the British School Manila offers British curriculum enabling students to explore and unveil their abilities and skills in various aspects such as sports, service, residential camps, visual and performing arts academic programme. CIS is an International Baccalaureate-accredited school for English-speaking students who want to achieve academic excellence in a non-sectarian school with focus on Western and Chinese cultures. CISM offers the K-12 education program as well as the two-year, globally-recognized International Baccalaureate Diploma Programme (IBDP) ideal for Grade 11 and 12 students who wish to pursue their studies in higher education institutions overseas. You can either enroll your kids in their Manila or Davao branches, but the Faith Academy will ensure you that its K-12 Christian program is a diverse and well-nurtured education since it represent students and faculty of more than 20 nationalities- letting students embrace the flexibility of adapting well in various culture and bridging the gap of it through socializing and learning its differences. It offers contemporary British international education from Early Years up to Secondary. Its campuses are divided into three main buildings, one each for Early Years, Primary, and Secondary. Nord Anglia International School Manila (formerly The King’s School Manila) is part of the British Schools Foundation (BSF), a leading international school group, registered by the United Kingdom, with 10 schools in eight countries across three continents. One World School is a young educational institution that opened its first day of classes on August 2013. As a non-stock, non-profit entity, One World School, Inc. is fully funded through school fees and individual and corporate donations and sponsorships. The school is part of the Nacel International School System, a system that is NOT “based” on the American curriculum but “is” only and completely an American curriculum adhering to the legal guidelines and benchmarks of each grade’s curriculum and strand according to the Department of Education of the State of Minnesota. Saint Paul American School is a Dual diploma program with advantage of learning in an American School System and Filipino DepEd certified regular school. Southville International School and Colleges (SISC) is a private, non-sectarian school. Chosen by the Philippine Department of Education as a “School of the Future” in January 1997, SISC Basic Education is currently accredited by the Western Association of Schools and Colleges. SISC became ISO 9001:2000 certified in 2004. The school was authorized as an “IB World School” in August 2005. The school started by offering preschool at its Elizalde Campus, and eventually expanded to offer primary school, secondary school, International Baccalaureate Diploma Programme, and college degree courses. Summit’s approach to learning is called the Developmental-Interaction Approach. We create curricula that coincide with the capacities and needs of children at various stages of growth and provide opportunities for their interaction with the environment — of people, places, and things — that are important for learning and growth. A future-oriented international school offering English language as its primary language in the school premises, Britesparks is a K-12 program international that provides education courses to pre-college academic strands, enabling kids to equip themselves with knowledge that will help them get through their academic years as a college student. The German European School prides itself with International Baccalaureate Diploma Programme that is highly recognized both by German Embassy and the German International Schools abroad. This only goes to show that studying in this school highlights better opportunities of expanding your child’s educational achievements abroad. Practices American-based K-12 Curriculum and Advanced Placement (AP) Program, the school incorporates technology and learning to bring a well-crafted knowledge and learning’s to their students. They also see to it that they have provided eminence both in academic and moral development areas. Saint Jude is the best among the best. Still No. 1 in my children’s education. Good luck and more power. University of Baguio Science High School – The first science high school in the country with the best professors and the best curriculum. It’s not only the science high curriculum but a consolidation of the human and social sciences. Is there any High School here in the Philippines that gives there students full 100% free education? What I mean of 100% free education is that aside from no tuition fee it includes free food, shelter, housing, clothing, medicine on top of it’s quality education. And, after graduation, helping their graduates to have a job competing to College graduates and vocational graduates. Discipline of students is beyond compare. Visit all The Sisters of Mary School compound and you’ll see for yourself why this school is the best High School in the Philippines. I don't understand the basis of these rankings. Surely there must be measurable criteria to judge? If I were to make rankings, I would give scores to facilities, student selection, teacher selection, overall achievements of the school. But then it would be very difficult to provide measurable criteria for each. I am glad my school (PSHS) was number one on this list, and they mentioned the contests as the reason for this. Personally though, I consider contests as a shallow criterion for school ranking. But granted that we use contests as criterion as the author did, the results would be different. When I was in Pisay, the schools we usually contend with (and who often beat us in Math contests) are Chinese schools like Chiang Kai Shek and St. Jude, and other science high schools like Manila Science, Quezon City Science, and in fact Pasig City Science is now figuring well. Where are all these schools in your list? Now, there are also schools that cater to specific needs such as the Philippine High School for the Arts. They are a class of their own. Don't they deserve a slot? Lastly there are special education schools that cater to gifted children. An example is the Multiple Intelligence School in Katipunan. Their kids are really smart, and their curriculum is non-traditional and teaches the kids to develop all kinds of talents. Don't they deserve a slot too? Please clarify your criteria. That is needed to make any list credible. Thanks. My experience in Manila Science was the best education I've ever had. We were nurtured academically, socially and emotionally. We were tasked to pick the garbage/rubbish we see in the school premises since we only had one (old) janitress. We had to be presentable always. And we had to be confident. We weren't trained to compete, nor to think we have to be better than the others, but rather just to love what we do. MaScians are simple children who just love to live the dreams they have. I agree Philippine Science is one of the best along with Manila Science and Quezon City Science. They have the best advanced curriculum particularly in Science and Mathematics. They have also the most difficult entrance examinations. Admissions to these schools are really strict. They have the best graduates that usually pass UPCAT, Ateneo entrance and DLSU entrance. Their graduates are usually among the placers in the board exam. My batch mate from masci who graduated from DLSU College of Accounting topped the CPA board exam. Another schoolmate from Masci topped the Mechanical Engineering board exam. He was from UP Diliman. Hello, I wonder why you do not list German European School or European International School in Paranaque. This school is of high educational standards, and it is a truly international school, with one of the few PYP Preprimaries and Primaries, and an IBDP senior high school. Also GESM’s partner, the French School is missing. It is also a school for international students, focusing on English and French. Reading your list, one might get the impression that international to you means, either Catholic or American. Neither is truly international.